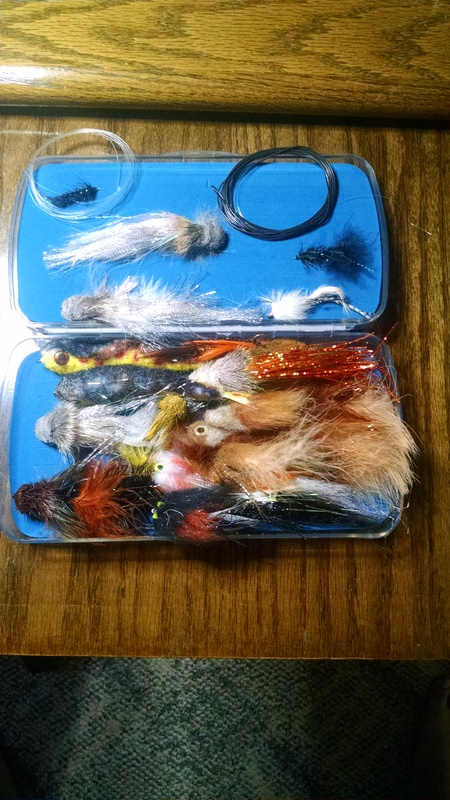 This entry was posted in Fly News and tagged fly fishing freshwater flies Learning to Fly Fish Monthly Fly Nymphing spring trout fly fishing summer trout fly fishing on March 18, 2016 by Joe. Here at Monthly Fly, our goal is to make you successful on the water. For that reason I want to start giving out tips every week to help you catch more fish. In a previous post, I told you to be a sponge. No, I wasn’t referring to getting wet. What I mean is to absorb every bit of information you can. You should never stop learning when it comes to fly fishing. Everyone has different techniques, rigs, and methods. If you are out on the water and one thing isn’t working, switch up your game till you start catching fish. This article is Part 1 of many more to come. Please post comments and let me know what you like and what you don’t like so I can keep the tips flowing in a way that’s useful for you. 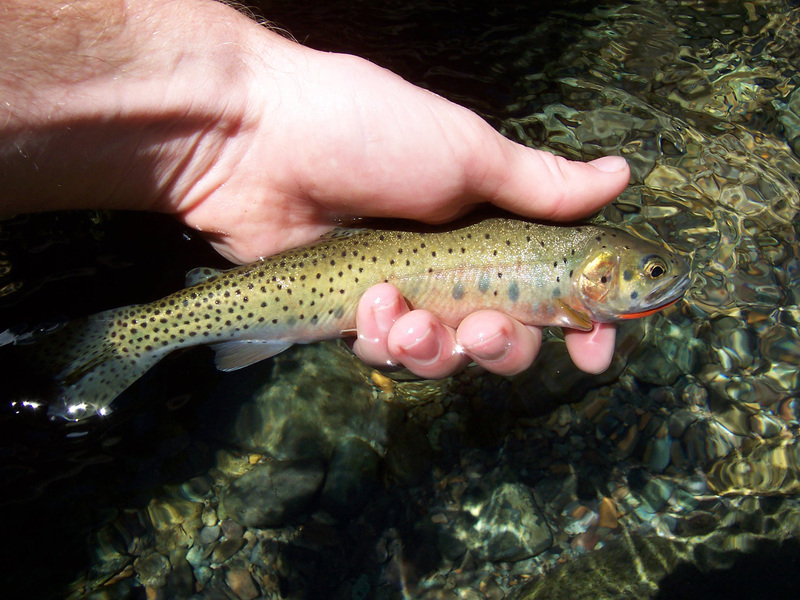 In this article I want to talk about trout feeding behaviors. Usually, as I am gearing up and setting up my rig, I run into a few people coming off the water. It’s a great idea to talk with them and see if they are willing to tell you how they were biting. Were the other fisherman nymphing? Were they seeing some top water action? Either way, I generally start off with some sort of nymph rig with an indicator. If it is an area I have not been to in a while, or new water for me, I will take my time. By this, I mean I will sit at some sort of vantage point and watch how the trout are feeding. Am I seeing flashes of color deep in a run? Am I seeing tails slapping the water in an aggressive nature? Or, am I seeing a trout slowly rise sipping off the water’s surface? All of this can indicate how a fish is eating and how you should adjust your fishing techniques. If you are seeing a fish flash a few inches in a run. This generally means the fish is eating on some sort of aquatic invertebrates such as midges, stones, or caddis larvae. From there, I then need to figure out exactly what they’re feeding on; typically, there are 3 methods to try. First, I will get down on the river’s edge and start flipping rocks. This is an easy way to look at the bottom of a rock that was submerged and see what is crawling on the bottom. If you are not into entomology and have no idea what the bugs are that is okay. 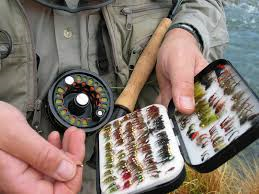 Pull out your fly box and see what you have that closely resembles the bug on the rock. A second option is using a seine, which iis a very fine cloth material. You place it on your net and hold in the water while flipping rocks. It will catch what is floating through the river so you can then view it on the cloth. A third way is pumping the fish’s stomach. This, of course, means you have to catch one first. Once you know what the fish are feeding on, it’s time to go. You need to fish your flies along the bottom of the river. 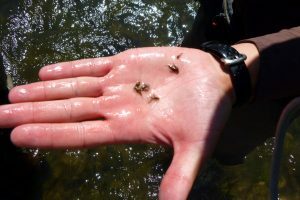 If you are sitting on the river’s edge and watching fish aggressively smashing the water, they’re likely hitting emergers, which are nymphs that are in the upper water column. They are not quite ready to start flying, but are close. 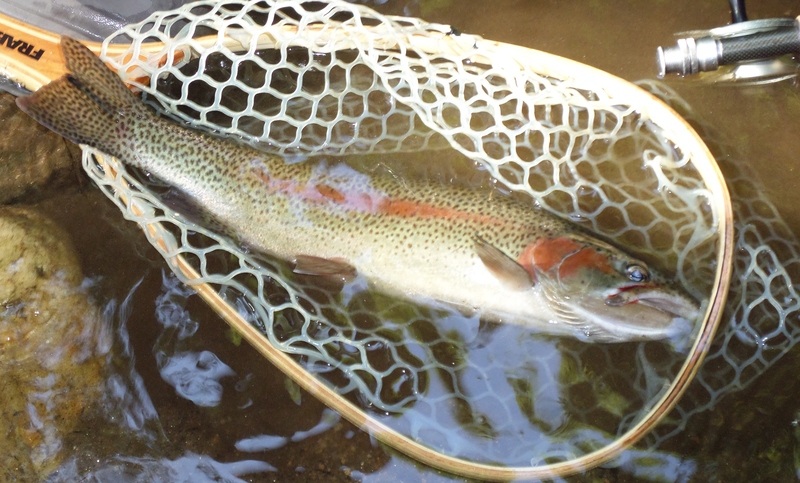 Check your box for an emerger pattern. If you don’t have one, don’t despair, you can use some regular nymphs. There are a couple of ways to fish emergers. First is moving your indicator closer to your flies to put them in the strike zone. Another method is with a dry/dropper rig. 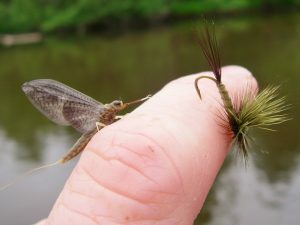 A dry/dropper rig involves using a dry fly as our top fly and then tying a small emerger or nymph (a midge or BWO is often a good choice) about 18” from your dry fly. Note: you can either tie your tippet to the eye of the dry fly hook, or on the curved end of the dry fly hook if it is barbed. The dry fly does not need to match the fly that is emerging. In the dry/dropper rig, your dry fly basically serves as your indicator. If your dry fly goes under, set the hook. If you’re seeing trout rising (gently coming to the surface) and “sipping”, it’s time to break out the dry flies. Sometimes, you may only see one trout rising. Other times, you may see multiple trout rising. If you can, watch for the bugs lifting off the water and catch one. (They’re not exactly easy to catch. I’ve found my hat is a handy tool for this). 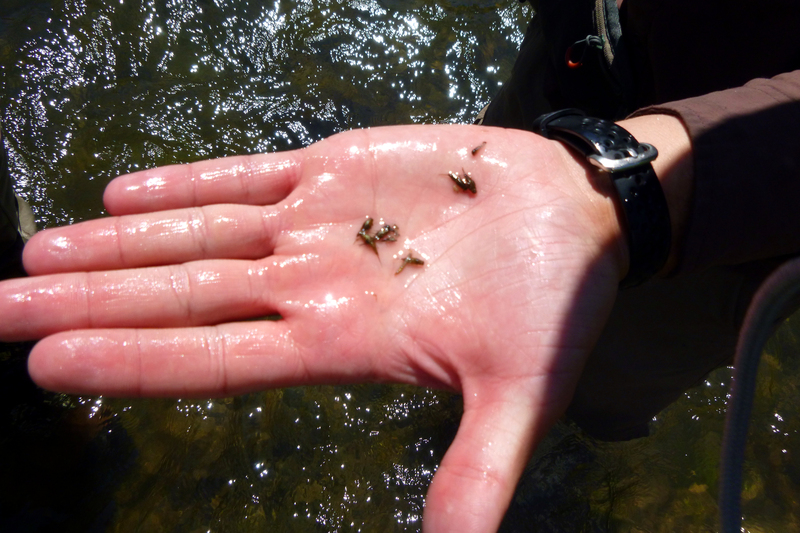 You want to try to match your dry fly to the size and type of bugs they’re sipping on. If you try something and it doesn’t work, don’t be afraid to swap out flies and try again. Fish eat meat. It is a fact. 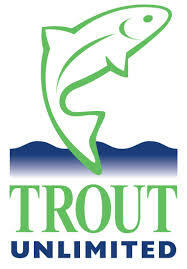 As a trout grows, especially brown trout at a certain point will either switch strictly to a meat protein diet or will fluctuate and eat both insects and meat. If the water is stained or high. I enjoy throwing streamers for larger trout. Generally you need a sinking line for this, but some companies offer a sinking tippet that goes on the end of your line that your mono or fluro tippet will then connect to. When throwing streamers I try to imitate the smaller trout that are in the river. I will also throw a streamer that will imitate a baitfish in the water I am fishing. All you do it give it a few seconds to sink and strip it in. Try stripping slow and fast. Give pauses in your strip. Switch it up until you get that strike. Also remember, it is not small fish that will eat a streamer. I have caught some fish that are 12 inches on a streamer up to the upper 20’s and into the 30 inch range. If you are lucky enough to be in an area with a lot of mice. You can strip a mouse pattern across the top of the water and sometimes produce a strike. Remember, when fishing streamers your number of fish caught will go down. But, the size of the fish usually increases. Learning how a trout feeds will help you on any water you fish. This can be extremely helpful as you try new waters. I hope these tips help you land some fish this weekend. Tight lines! Great article and can’t wait to get out again. I tried emailing the address you provided, but it would not go through. Try sending us an email and we can talk about doing a guest blog!